Do You Ever Want To Pause Time ? Every single parent that I know always says they can not believe how quick their children grow up, that time seems to speed up when you are a parent. I know this all too well as my eldest is thirteen! An actual fully fledged teenager with a mind of her own. To me, she is still my baby though as I still think of her as my little girl. My little two children are grown up too and I no longer have a baby in the house but now have two very strong-willed little toddlers, who will be off to school and teenagers themselves before I know it. My children are grown up and changing right before my very eyes and whilst it is so lovely watching them grow, learn, develop new skills and discover the world around them I sometimes just want to pause time, right now, this second. I want to keep them at this age, young and innocent with emerging personalities which is a joy to watch each day. I often look at them when we are just doing something normal like cuddling on the sofa watching TV and I think to myself, I want to remember this moment forever. The sad thing is that I will probably forget all of those little moments we shared together as time goes on and that makes me so sad. I wish I could somehow store all of these memories to remember forever, I don't want to miss or forget one second. I wish that I had of cherished those baby days a little more as I feel like they have passed me by so quickly, I can not remember any of my children being small babies, and my son is only 18 months old! 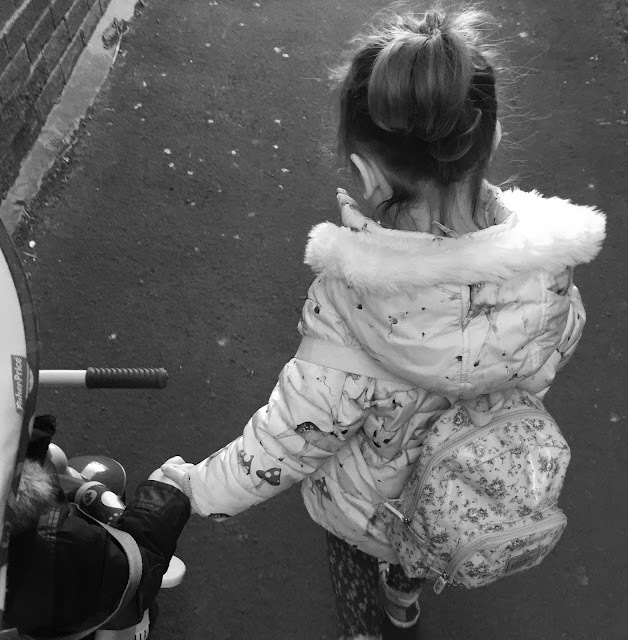 One of the reasons I started this blog was so that I could record my children's childhood, so I would have something to look back on to remember what life was like when they were small and the adventures we went on, as well as the normal day to day things we get up to. Don't get me wrong I love watching them reach new milestones, as does every parent but sometimes I find them bittersweet as they are another step towards them grown up. I don't want to forget the things they love and the funny little things they do, as I know all too well how quickly things like this can change in children. I guess I just realise how quick children grow up and I want to cherish every single second that I can. So I guess some days I just want to pause time and enjoy my children being young that little bit more. The thought of them grown up scares me if I am honest, but I know they have to grow up I will just have to make sure I am there to take lots of pictures and create lots of memories so that I never forget these days, as that's what us parents do. But on days like today, I really wish that I could pause time and enjoy them being young for just that little bit longer. Do you ever wish you could pause time in your children's childhood too? I wish for this every day. I actually get so emotional at how fast my son is growing up. I wish I could remember all the simple, lovely moments forever too. To The Parent Whose Baby Does Not Sleep.